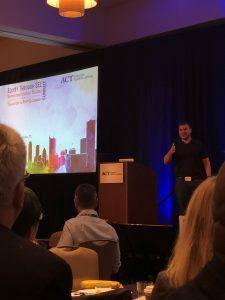 This blog was originally posted to the ACT website Friday, July 13. We do not live in an equitable world. We often use the words equal and fair interchangeably, and many of us think the fair thing to do is the right thing to do. But it’s important to remember—equity and equality are not the same. Equality in education means giving all students the same opportunities and the same support. Equity in education means giving students varying levels of support based on their needs so that they can take advantage of those opportunities. Some students need more or different types of support—because we do not live in an equitable world. 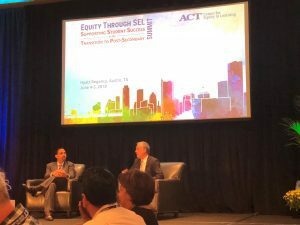 This reality was brought to life through student stories, research, and conversations in Austin, Texas last month at a summit we hosted on equity in social and emotional learning (SEL), entitled Equity through SEL: Supporting Student Success in the Transition to Postsecondary. At the Summit, ACT’s Center for Equity in Learning brought together a diverse group of practitioners, researchers, students, and funders who are all working toward a better understanding of issues that students face at the transition point between K-12 and postsecondary education, and how we might start to better coordinate the work needed to change policy, practice and institutional environments to better help students improve their lives. What if instead of focusing on “social and emotional learning” we focus on the fact that all learning is inherently social and emotional? Karen Pittman (@karenpittman), Co-Founder and CEO of the Forum for Youth Investment, and a Commissioner on The Aspen Institute’s National Commission on Social, Emotional, and Academic Development, kicked off the summit by asking attendees to flip the language when we talk about supporting students holistically, and to assert the reality that all learning is social and emotional. Social and emotional skills are malleable; they can be learned, and they can be changed. As our peers and partners continue to research the topic and create curriculum, interventions, and new strategies we need to remember that what we do in writing doesn’t matter if we don’t provide the training and support people need to act in different ways, and engage one another in new ways. Learning doesn’t just happen at school. Our students’ environments, inside and outside of the classroom, affect them. Roberto Rivera (@gl_edutainment), chief empowerment officer at 7 Mindsets, stressed the prevalence of socially toxic environments; that is, any environment that inhibits a student socially, emotionally, cognitively, or otherwise. Social toxicity might present itself in the form of disproportionate discipline, overrepresentation in special education or remedial courses, or implicit or explicit labels that limit a person’s potential and opportunities. A socially toxic classroom is one in which black students are suspended and expelled at three times the rate of white students. These socially toxic environments are all too real for many students in America, and this is all fuel for dropping out of school, or staying in school, but disengaging as a way to cope. We need to work together to meet students where they are to disrupt these realities, create and strengthen environments in which unity and diversity coexist, and scale effective models and practices to spur growth in the face of adversity. A shortage of information is not the problem. There are thousands of checklists and resources that focus on the steps a student needs to take to complete the college application process and prepare for college. However, a student can complete the task list and still not be ready to succeed after high school. Jenny Nagaoka (@jennynagaoka), deputy director of the UChicago Consortium on School Research, explained that going to college requires both the completion of a series of tasks and thinking about identity development, not just about what tasks need to be done. As she made clear in her presentation of some of the research her group has done, students are vulnerable during times of transitions. We need to help students recognize that transitions are about the opportunity to rethink who they are, their goals, their strengths and assets, aspects of their life that they want to change, how they’ll deal with challenges, and thinking about their identity. We often present going to college as the end game, when, in reality, college is a means for students to become the people they want to become. We need to remember that this process doesn’t only require engagement (checking the boxes), but it also requires reflection. What’s the difference between being inclusive and being welcoming? Dena Simmons (@DenaSimmons), assistant director of the Yale Center for Emotional Intelligence, emphasized the important difference between the two. Inclusion is a passive act. Welcoming requires work. We have to accept the sociopolitical context of our world, including our schools and classrooms; a context that starts as soon as a person is born and is reinforced through the mindsets and unquestioned behaviors that signal to some learners that they are perceived as deficient, or less deserving, based on characteristics like race, language, gender, gender identity, socio-economic status, and the list goes on. 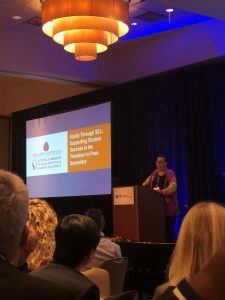 By pairing our attention to emotional intelligence with deeper attention to the use of culturally-responsive practices, we can help those struggling with imposter syndrome, and move the conversation from one about passive inclusion to one about active welcoming and the sense of personal agency and liberation that comes with true engagement. Think of the students you know who might be affected by the social toxicity we mentioned earlier. For some students, going to school is traumatic. Maybe it is in the form of implicit bias they perceive from peers or adults at school, or maybe it is present in the form of bullying. John King Jr (@johnbking)., president and CEO of The Education Trust and former U.S. Secretary of Education, explained the trauma of bullying and how it has left young people thinking about taking their lives. 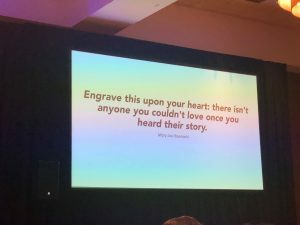 As we continue to work on ways to improve students’ experiences and remove barriers to equity, such as social toxicity, implicit bias, and bullying, we cannot be afraid to ask questions, and we need to listen to our young people about the barriers they face, and for whom these barriers are a reality. How will you integrate the ideas you heard into your work? How do we utilize our positions to help change the narrative about young people of color? What commitment are you willing to make to disrupt the disparities facing youth of color in your organization or community? Are you willing to do the work of creating a welcoming environment? What was a time and place when you were in a community where you were able to experience innovation or growth? What was one quality of this community? How do we detoxify the environment and collectively create a thriving community like the one you experienced and imagine for the future? We encourage everyone to keep the conversation going, and to share your insights and what you are learning as you engage and listen to students. We will go further, and make progress more quickly, by working together. And in the sum total of our combined efforts we will move closer to achieving the reality of greater equity through the creation of an approach to learning that is disruptive in seeing all learners as equally deserving of social and learning environments that are safe, welcoming and engaging, and that are grounded in the reality that all learning is social and emotional.